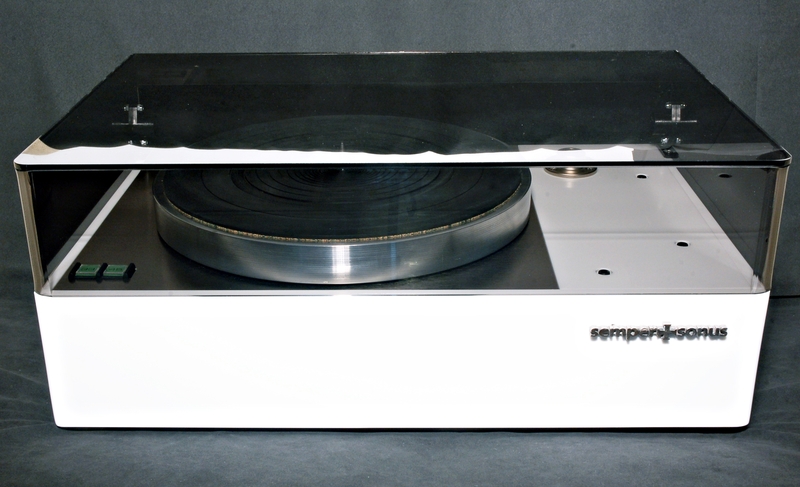 Turntables are back with a vengeance, but time doesn’t stand still. Technology’s pace allows us to revisit problems and solutions of the past with new eyes and new means. We looked at one of the older and most cherished drive systems – idler drives – and proceeded to iron out its kinks and foibles with modern technology and materials. The result surprised us and will surprise you. Starting with the drive system, motion is supplied by a BLDC motor, epicyclically driving the aluminum platter through an urethane drive wheel. The motor is attached to a telescopic cradle using sorbothane rings for vibration decoupling. The platter, of medium weight (3.4Kg), is constructed from aluminium and acrylic with the major mass around its circumference for a greater Moment of Inertia. Its underside is covered in butyl rubber to quell any “ringing”. It rotates on an inverted bearing design, its weight supported by twin ceramic spheres. To top it off, we use a two layer rubber / cork mat, for further isolation. Everything ties together at an aluminium / acrylic composite cross-frame, for rigidity and vibration damping. The frame itself attaches onto a plinth made from highly rigid aluminium extrusions filled with a concrete / resin compound. At the plinth, all other parts – armboard, sideboards, power and control electronics – are also bolted to, on precision located mounting points. The inboard power supply, line filters the mains supply before converting it to 12V DC and stabilizing it. It then feeds the motor controller, which features electronic speed switching (33/45/78), along with quick start and quick stop characteristics. The correct speed is constantly monitored and accurately maintained thanks to feedback from a 1000-step optical encoder. At the same time, the right amount of torque provided – i.e. the absolute minimum required at all times – is continually adjusted based on feedback from the current levels required by the motor. Complexity is hidden, or rather function doesn’t dictates form. We strived for a classical, contained appearance, able to subtly fit into any decor and not scream about itself. 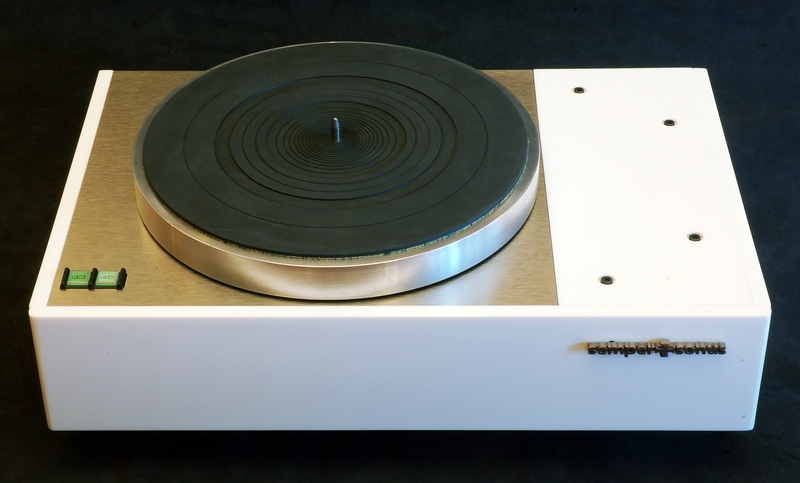 Corian panels frame the turntable, while the top is built from brushed aluminium. Our standard combination includes a Jelco SA-750EB arm and either an Ortofon 2M Black or an Audio-Technica AT-OC9ML/II cartridge. However, armboards for other tonearms can be supplied instead, at no additional charge. 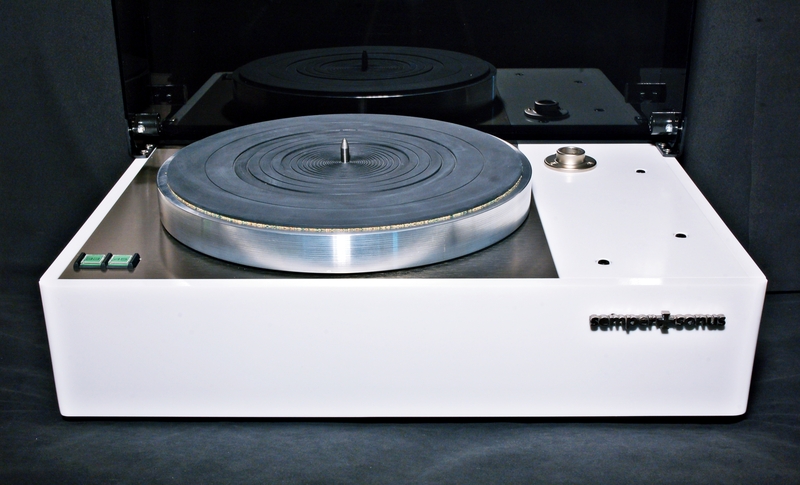 At no additional cost, our turntable is available in either a white or black finishing. Other colors can be made available at a small extra cost. For protection from dust – and little fingers – an optional dust cover is also available. Although, we don’t believe that numbers are the only game in town, we do measure them, which is not very common today. 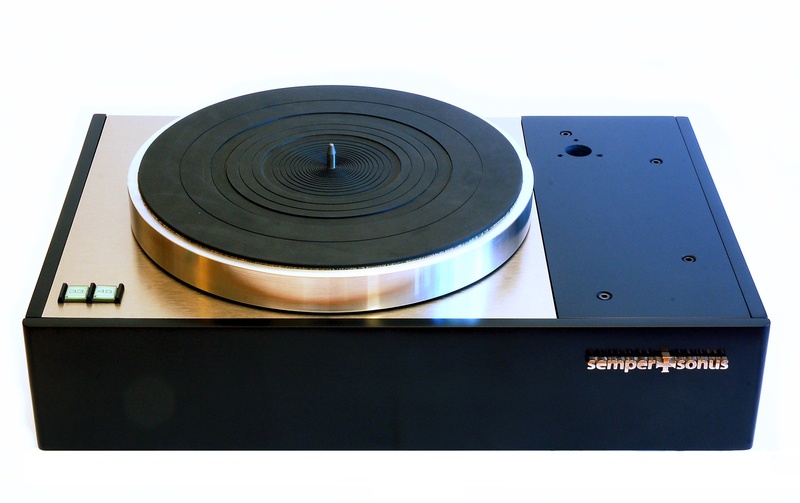 Wow & Flutter, along with Rumble have been the most common measures used to evaluate turntables ever since, but we know there’s more to sound than just those two. In fact, those two can be misleading: W&F is an average, scarcely revealing the magnitude and frequency of the ocurring speed drifts; Rumble is also mostly useless, as today, the backgound noise from the records usually surpasses the noise coming from the motor / bearing.